THIS ARTICLE WAS WRITTEN BY ANUSHKA GANGULI, A STUDENT OF RAJIV GANDHI NATIONAL UNIVERSITY OF LAW. All living things have a right to live, right? We as humans, are entitled to much more than living. We have a right not just to a bare survival, but a dignified life. The State ensures that every aspect of a human’s life is secured. Be it birth, education, privacy, shelter, everything. But these rights exist, as long as the State does. As long as the Law exists, and the people to protect and claim those rights exist. If we are deprived of these rights, we revolt, we protest. We shout, scream, for we realize and are conscious enough to claim what is ours. But humans are not the only living beings existing. We live in an ecosystem, and our inhabitance is supported by the existence of so many creatures around. We call them animals. We know it for a fact that law exists where there one existed unlawfulness. There would have been no laws to protect our rights, had they been never violated. We hear and witness endless stories of animal abuse and animal cruelty. Hardly do we realize, that just like us, the State has taken care of their well-being as well. As members of the earthly fraternity, every being has a right to be treated equal. These laws have been enacted to ensure the same. But unlike us, they cannot claim these rights they are entitled to. They cannot claim a judicial remedy and are left with no option other than to suffer. These voiceless beings dote upon us to voice their woes. 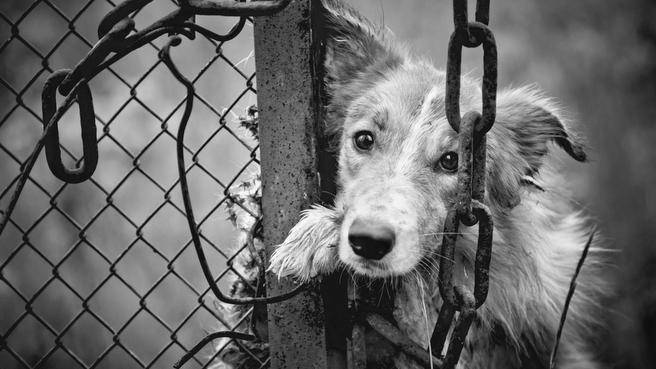 The concerns about animal cruelty and abuse are never unheard of. Animal cruelty is behaviour that is harmful to animals, from unintentional neglect to intentional killing. The infliction of physical pain, suffering or death upon an animal is animal cruelty. The misuse of animal or the use of animal for the purpose beyond the animal limit is an animal abuse. [i] They are enslaved, beaten, and kept in chains to make them perform for humans’ “entertainment”; they are mutilated and confined to tiny cages so that we can kill them and eat them; they are burned, blinded, poisoned, and cut up alive in the name of “science”; they are electrocuted, strangled, and skinned alive so that people can parade around in their coats; and worse[ii]. Taking into account various instances of heinous crimes against the innocent animals, various Acts and legislations have been enacted around the world. This gave impetus to the growing concept of animal welfare, when it was realized that in order to harmonize and coexist in this ecosystem, more than a mere survival of these creatures is necessary. According to the Collins dictionary, animal welfare is the protection of the health and well-being of animals. It goes beyond the concept of animal preservation. Section 3 of the PCA Act is based on the similar notion contained in Article 51A(g), that reiterates the duty of every individual to ensure the well-being of every animal. In order to extend the ambit of animal rights, another notable legislation was enacted. The most significant legislation on Wildlife protection which is based on the ecosystem approach and a regulatory regime of command and control is the Wild Life Protection Act, 1972.The primary purpose of the Act was to control and prevent the practice of poaching, smuggling and illegal dealing of wildlife, its resources and its derivatives. Section 428 and 429 of the IPC, 1860 exclusively deal with the crimes committed against animals. 428. Mischief by killing or maiming animal of the value of ten rupees.-Whoever commits mischief by killing, poisoning, maiming or rendering useless any animal or animals of the value of ten rupees or upwards, shall be punished with imprisonment of either description for a term which may extend to two years, or with fine, or with both. 429. Mischief by killing or maiming cattle, etc., of any value or any animal of the value of fifty rupees.—Whoever commits mis­chief by killing, poisoning, maiming or rendering useless, any elephant, camel, horse, mule, buffalo, bull, cow or ox, whatever may be the value thereof, or any other animal of the value of fifty rupees or upwards, shall be punished with imprisonment of either description for a term which may extend to five years, or with fine, or with both[v]. Thus, subjecting any animal to abuse or cruelty comes with consequences. If any animal is subjected to any form of cruelty specified treated in any cruel way, in any of the ways provided under Section11 (a) to (o) of The Prevention of Cruelty to Animals Act, 1960, the offender (in the case of a first offence) will have to pay fine which shall extend to fifty rupees and if it is the case of second offence or subsequent offence committed within three years of the previous offence, he will be fined with not less than twenty-five rupees but which may extend to one hundred rupees or with the imprisonment for a term which may extend to three months or with both. In the case of second offence, the offender’s vehicle is confiscated, and he will never be allowed to keep an animal again[vi]. Animal welfare organizations like PETA have propelled number of legislative and administrative moves. The Ministry of Environment, Forest and Climate Change has released four new Gazette notifications under the Prevention of Cruelty to Animals Act, 1960 in the year 2017, to regulate dog breeders , animal markets, and aquarium and “pet” fish shop owners . This progress has come about as a joint effort by animal protection groups including PETA India. PETA India was involved in the public consultation process for these rules and had provided useful comment to strengthen protections[vii]. Regulations have been passed under the heads of Dog Breeding and Marketing, Livestock Markets, Care and Maintenance of Case Property Animals and Aquarium and Fish Tank Animal Shops. Creating an animal-friendly environment in a world of chaos is no meagre challenge. We live in a country, more appropriately a world where human rights were already in a deplorable state, and taking care of animal rights seemed like a far-fetched vision. Nevertheless, due to the excellent work by pro-active animal organizations like PETA, WWF, Animal Welfare Board, etc. resulted in a better environment for animals to thrive in. Some landmark judgements by the judicial bodies helped the evolution of animal laws in India and shaping the present and future of animal rights. An important verdict given by the Bombay High Court, that stated that before using or casting any animals in films, it was mandatory to obtain a Non-Objection Certificate from the Animal Welfare Board. It was viewed as a significant move to prevent and control the exploitation of animals during filming/training on the sets of any film. This case led to a ban on animal testing of cosmetics. This case could be described nothing less than landmark, that wherein the Kerala High Court, and later Supreme Court affirmed that tigers, monkeys, panthers, bears and lions could not be used as performing animals to obtain profits. Such practice leads to the illegitimate smuggling and subsequent mistreatment of these creatures, caging, beating, whipping, etc, thus contravening Section 22 of the PCA Act, 1960. This case, in brief dealth with “the rights of animals under the Constitution of India as well as Indian laws, culture, tradition, religion and ethology”. History testifies, that the amalgamation of law and religion always leads to a tussle, inviting dire consequences. In spite of a lot of regression and protests, the Court reasoned that life meant a life full of worth and dignity, and in light of this, practices and sports like jallikattu and bullock-cart racing must be banned. The evolution of animal welfare and legislations have led to the development and a better understanding towards animal rights. It started from the presumption, that all living beings have a basic right to live without suffering, and since animals form a crucial part of human’s environment, their rights ought to be protected. With time, we went on to realize that mere survival doesn’t ensure a ‘life’. Surely, a plethora of legislations, laws, sanctions wouldn’t amount to much as long as the insensitive mentality remains unchanged. The Courts might have extended the paradigm of rights to rope in non-humans, but the inhumane humans wouldn’t. How often does one encounter a stray dog being run down by a vehicle or another being pelted with stones? We live in a country where hunting was once a sport. We live in a country where first an animal is worshipped, and then slaughtered. All religions in India have made attempts to propagate mercy and respect towards innocent, speechless beings. But mercy is a virtue of the heart, and laws can only prohibit external action of an individuals. Its time this mercy and respect extends beyond our reverend gaumaataAnimal laws have come a long way in India, it’s time humans adopt some ‘humanity’ as well.